There's isn't really a publication, curation project or blog dedicated to DIY punk, indie and alternative music… kind of. If there is, it's ..
DREAMERS escape from reality in "Shooting Shadows"
DREAMERS have released visuals for their single "Shooting Shadows." The video for "Shooting Shadows" is part of a 12 clip series that takes ..
"Take Off Your Shirt" is not your typical Bibio track. It's more of a Weezer-esque rock track — very different than Bibio's usual stuff. ..
Mashup Monday – We're going to melt your faces off with enough mashed up music to make you wanna slap yo' mama. 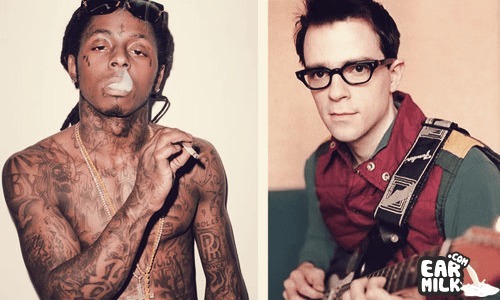 teekay will be bringing ..
That's right, Weezy and Weezer. Together on the band's track "Can't Stop Partying." On the band's new album, "Raditude" out October 27th, ..